Janet Rodgers has a set of US twin size (3×6 ft or 94x187cm) trundle beds to give away from Number 67. They are assembled as a daybed, or the back can be removed and used as a sleigh bed with the trundle that rolls out from underneath. 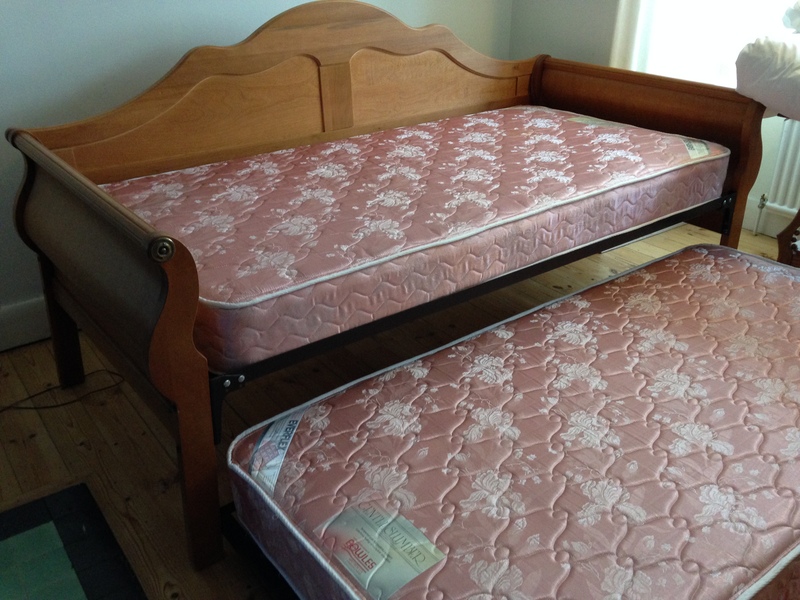 They are in good condition, with coil mattresses, and are very comfortable. Janet also has linens (white cotton) and duvets for the beds. Please arrange to pick them up very soon, as Janet is returning to the US on Wednesday the 21st! She can be contacted on 01865 511 494 or 07983 820 823. Our fantastic dog walker has gone on to further education and we are struggling to replace him. Does anyone in Victoria Road know of someone who might be interested in this small but responsible job. Shona Reed-Purvis at no. 100.